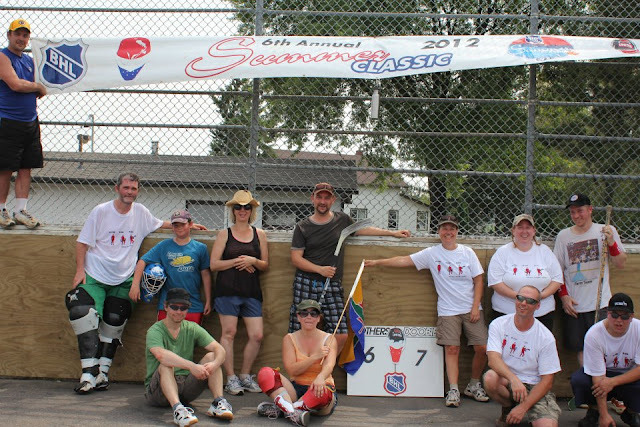 Play in an annual summer fun ball hockey game. This year with be the 7th game. 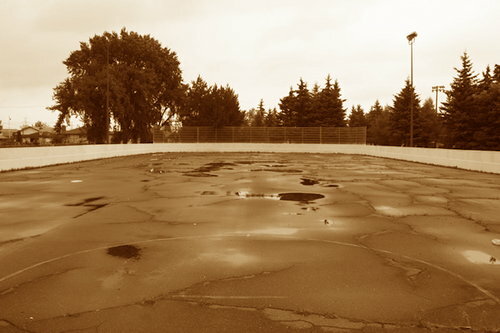 I have played in every one except the 1st one. 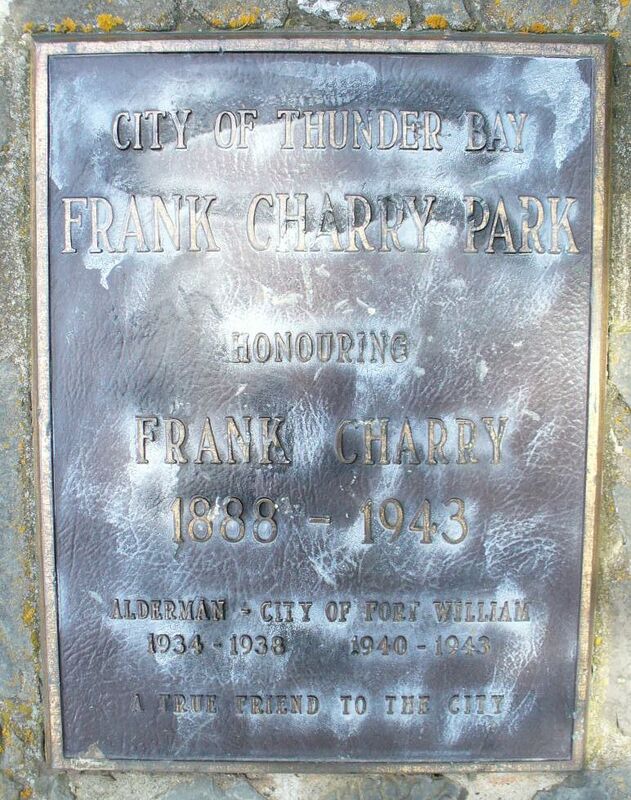 Game is played in the East End of Thunder Bay on the rink area of Charry Park. 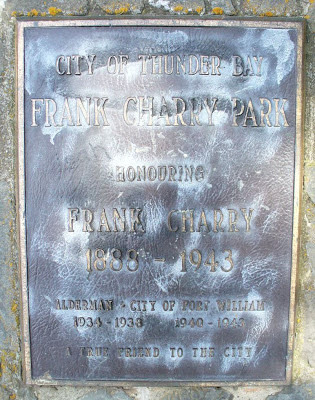 Plaque at park plus image of rink taken from Google Earth below. Most people involved I met through my cousin Mike. Many no longer live in town and come back from Calgary and other places to visit relatives and friends plus play in the annual game. 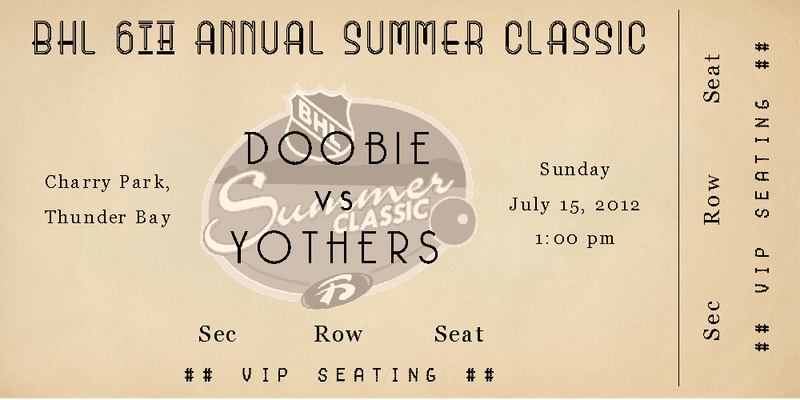 Dave Scott is the Commish and has a page on Facebook for this game; page is called The Ball Hockey League (even thought it's really just an annual game). 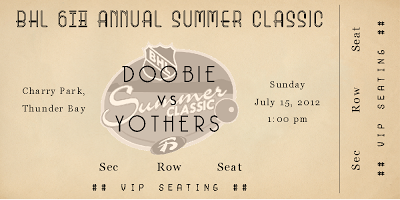 I made up some souvenir tickets for last years game. I got the old paper background from somewhere on Deviant Art. Fonts used were Beauty School Dropout, Georgia, Fake Receipt, and Bellerose. BHL logo I vectorized, made sepia and faded. This year I have been working on a poster. 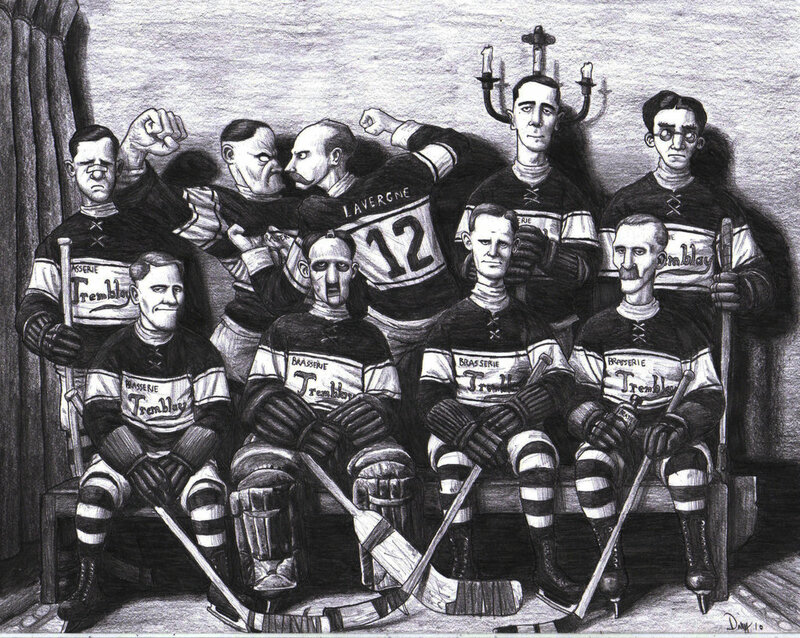 Main part of poster is taken with permission from some artwork entitled 'Hockey Team' by AngusMcLeod that I found on the Deviant Art site. I cropped out two of the players from a jpeg of his artwork, cleaned up some jpeg residue, and tried to fill in the areas where necessary. It's pretty well finished; only thing that may change is putting a date on it when a date is chosen for the game. Poster is supposed to look a bit like an old time boxing poster. Fonts used were Fulton Markers Regular, Acknowledgement, and Commercial Script BT. Top corners are just some clip art corners. 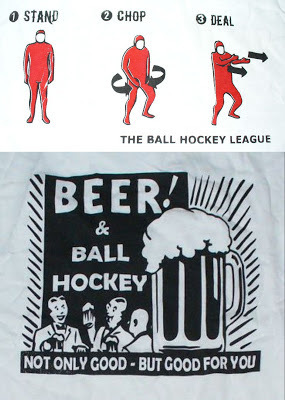 Dave and his brother Kevin had provided souvenir shirts and jerseys in many of the previous years. Last years was this one. Here's a close up of the front and back printing. Here's a pic of the players in last year's game.